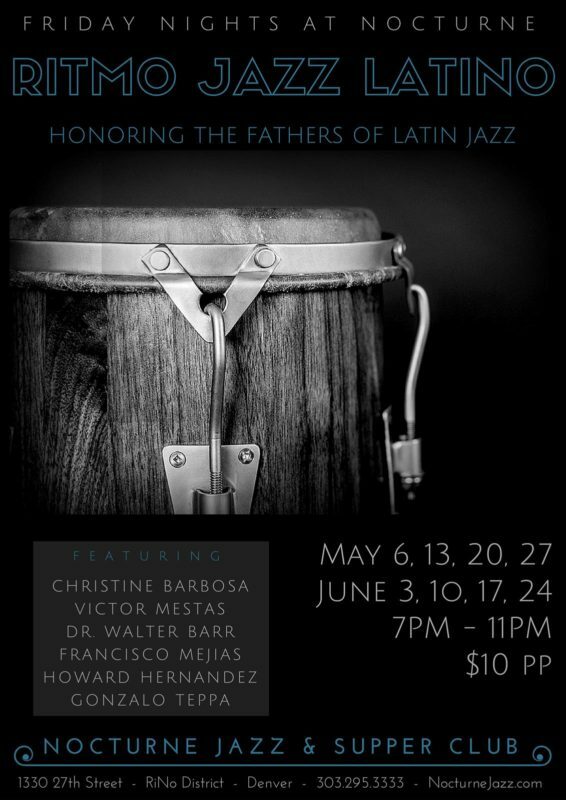 Ritmo Jazz Latino is honoring the fathers of Latin Jazz with several shows at Nocturne Jazz & Supper Club at 1330 27th Street in the RiNo District of Denver. They will be performing in May 2016- on the 6th, 13th, 20th and 27th. Then again in June in the 3rd, 10th, 17th and 24th. Come down and treat yourselves to some great Latin Jazz!